We have a new preprint out! Want to do good super-resolution images? We have put together all our SMLM tips and tricks. This is a methods paper that describes our SMLM workflow, using benchmark samples such as microtubules and clathrin-coated pits. A good image starts with a good sample… that’s why the first part is about how to our fixation and immunolabeling procedures. Then it’s “just” a matter of imaging and processing. Tips for acquiring 3D-STORM images, as well as multi-color DNA-PAINT. Congrats to Angélique and Karoline for their beautiful images. Check our preprint to know everything, and let us know what you think! New preprint: Pumpy is here! Together with the he lab of Ricardo Henriques, we’re finally ready to present #Pumpy to the world, in the form of a preprint on bioRxiv! 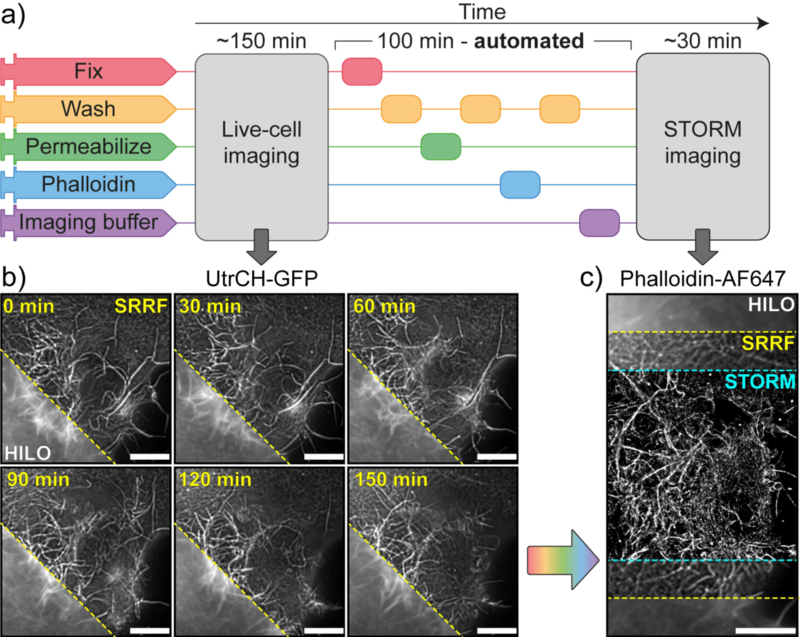 In one application, we used NanoJ-Fluidics to visualize the dynamics of actin in living cells (using SRRF super-resolved processing), and to perform nanoscale imaging of actin using STORM on the same cell after online fixation and labeling with phalloidin. 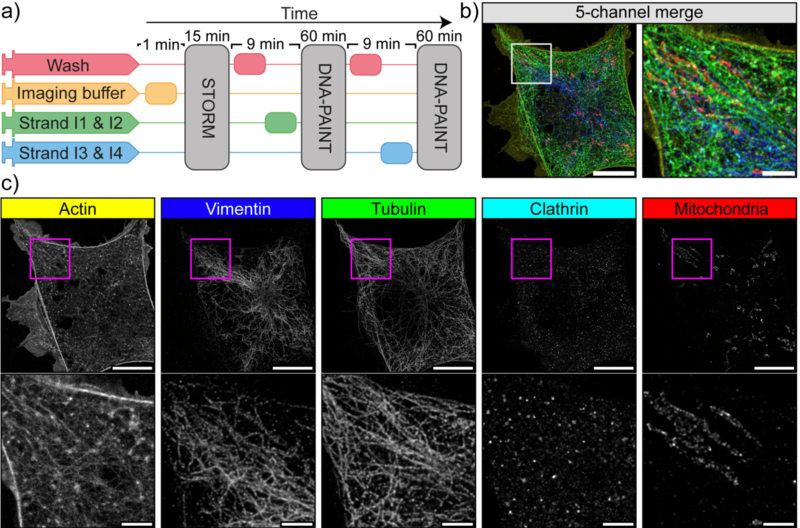 We also used NanoJ-Fluidics for sequential multiplexed STORM/PAINT imaging, and we obtained 5-channel super-resolved images of actin, intermediate filaments, microtubules, clathrin and mitochondria in cells with minimal intervention during imaging. 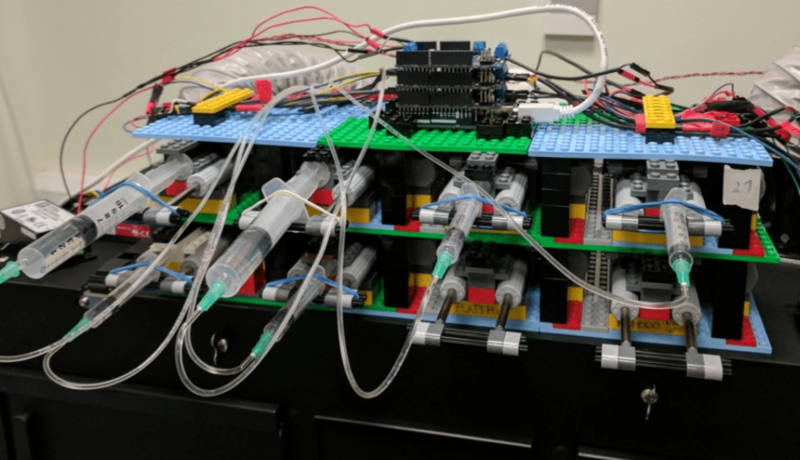 If you are interested in making your own, head over to the NanoJ-Fluidics wiki where you will find everything: LEGO parts, assembly instructions, control software and more! Today the Company of Biologists (a non-profit organization that published journals such as Development or the Journal of Cell Science) launched a new website called PreLights. 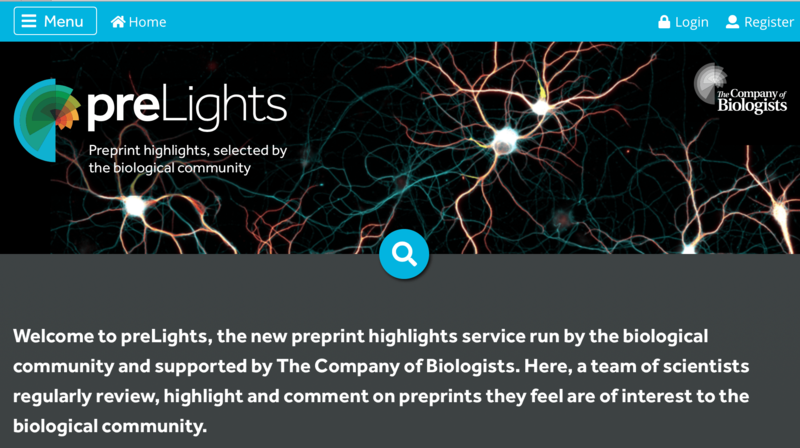 PreLights is a website where a group of young researchers (the PreLighters) curate biology preprints, highlighting their value and importance. Some highlights also feature feedback from authors. 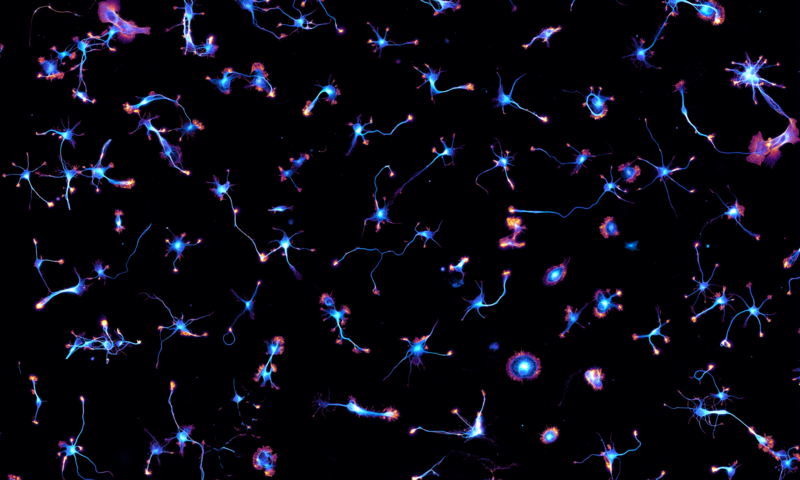 We are happy to support this open science initiative by providing the PreLight banner image: neurons in culture that reflects the connections and interactions preLights wants to promote. Another work in our fruitful collaboration with Subhojit Roy and his lab (now at UW Madison). 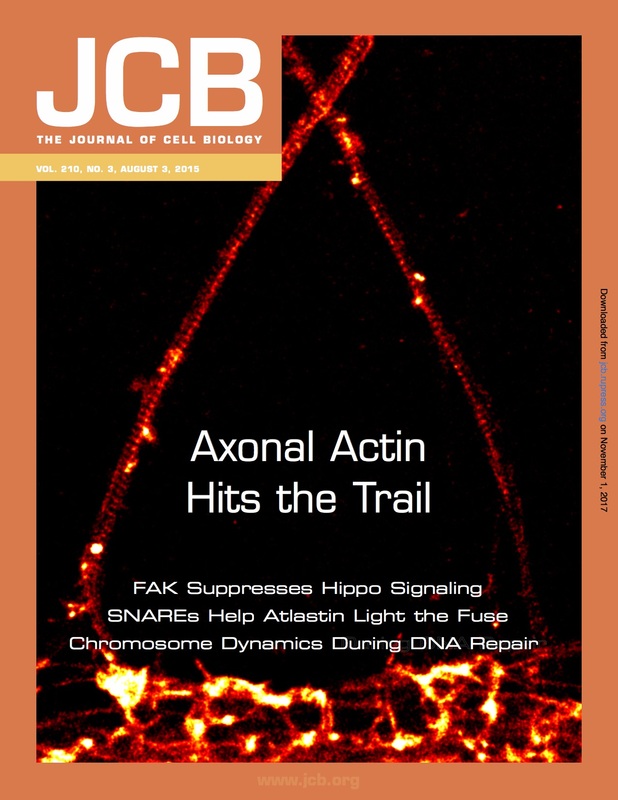 In 2015 we could visualize new axonal actin structures by STORM (see our cover): stable clusters every 3-4 µm we called “hotspots” from which “trails” would rapidly assemble and disassemble along the axon. In this new preprint, trails were shown to have a slight anterograde bias (55%) and to polymerize from the surface of the hotspots, pushing the trails away. This suggested that biased dynamic trails assembly could underlie the slow anterograde transport of actin, whose mechanism is still unknown. Modelling done by Nilaj Chakrabarty and Peter Jung (Ohio University) indeed showed that the observed biased assembly and disassembly of trails would lead to a ~0.5 mm/day transport of actin, in line with earlier measurements.